Archaeologists have demonstrated that Honduras had a rich, multi-ethnic prehistory. An important part of that prehistory was the Mayan presence around the city of Copán in western Honduras, near the Guatemalan border. Here a major Mayan city flourished during the classic period (150-900). It has many beautiful carved inscriptions and stelae. The ancient kingdom, named Xukpi, existed from the fifth century to the early ninth century, with antecedents going back to at least the second century. The Mayan civilization began a marked decline in the ninth century, but there is evidence of people still living in and around the city until at least 1200. By the time the Spanish came to Honduras, the once great city-state of Copán was overrun by the jungle, and the Lencas, not the Mayans, were the main Amerindian people living in western Honduras. On his fourth and final voyage to the New World in 1502, Christopher Columbus reached the Bay Islands on the coast of Honduras. Landing near the modern town of Trujillo, in the vicinity of the Guaimoreto Lagoon. After the Spanish discovery, Honduras became part of Spain's vast empire in the New World within the Kingdom of Guatemala. Trujillo and Gracias were the first city-capitals. The Spanish ruled what would become Honduras for approximately three centuries. 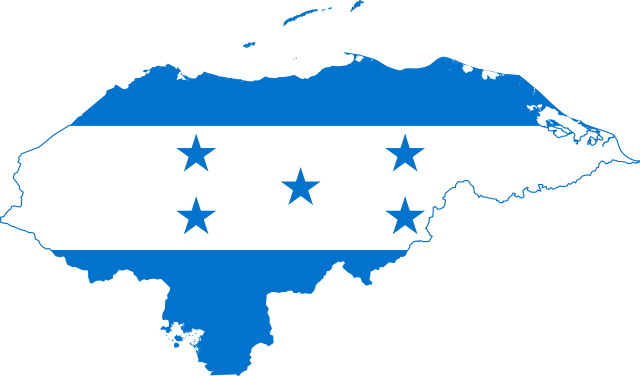 Honduras declared independence from Spain on September 15, 1821 with the rest of the Central American provinces. In 1822 the Central American State was annexed to the newly declared Mexican Empire of Iturbide. The Iturbide Empire was overthrown in 1823 and Central America separated from it, forming the Federal Republic of Central America, which disintegrated in 1838. As a result the states of the republic became independent nations. Silver mining was a key factor in the Spanish conquest and settlement of Honduras, but has been only a minor part of the national economy in recent years. The American-owned Rosario Mining Company was a major gold and silver producer, but shut down its large mine at San Juancito in 1954. Submit and View Queries and Surnames Submit a Query or Surnames for your lost Honduran ancestor.